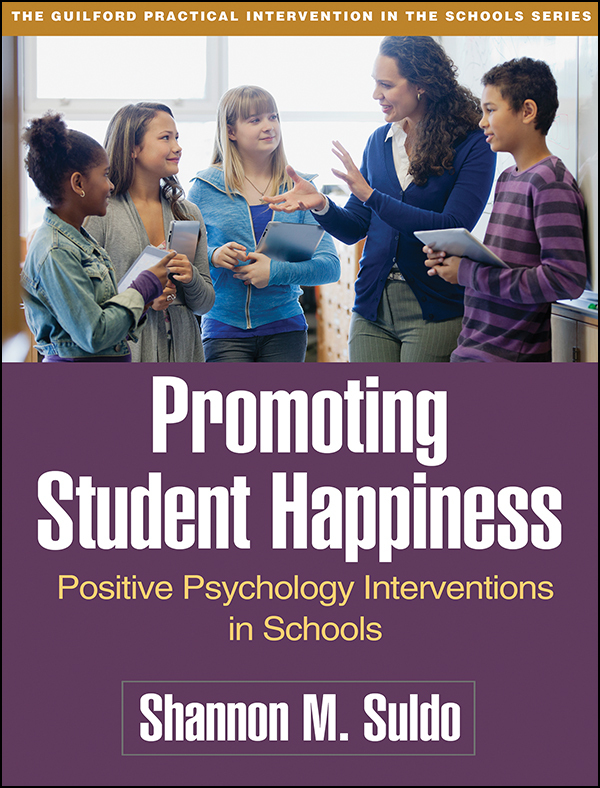 Grounded in cutting-edge research, this book shows how interventions targeting gratitude, kindness, character strengths, optimistic thinking, hope, and healthy relationships can contribute to improved academic and social outcomes in grades 3-12. It provides a 10-session manual for promoting subjective well-being—complete with vivid case examples—that can be implemented with individuals, small groups, or whole classes. Factors that predict youth happiness are discussed, evidence-based assessment tools presented, and ways to involve teachers and parents described. In a large-size format with lay-flat binding for easy photocopying, the volume includes 40 reproducible handouts and forms. Purchasers get access to a companion website where they can download and print these materials, plus online-only fidelity checklists and parent and teacher notes.